I’m so relieved to have found Anita so we travel without worrying about Maisie, or our flat! I know that Maisie is receiving excellent care and lots of love and attention from Anita. 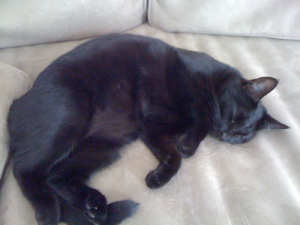 We always return to a relaxed and happy cat, and tidy flat. Besides being totally friendly, Anita is very professional and organised and takes care of everything you could need (she even bought new cat litter for us and re-did the little tray when we were running low). We are lucky to have someone who can deal with everything from our complicated alarm to the special needs of our finicky kitty—Maisie adores her! 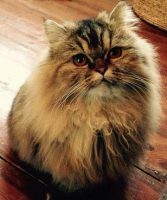 This Notting Hill Cat sitting and boarding service is a small reliable family run cat sitting business established in 2009 by cat behaviourist and specialised cat groomer Anita Kelsey. We are called Catnips and we offer the best cat care out there. Starting out with a handful of clients Catnips reputation grew, via word of mouth and excellent 5 star client references, to become the original leading and most sought after Notting Hill Cat sitting and boarding service in the heart of the area, supplying the very best cat sitting at affordable prices. We offer nothing short of the best there is. To enquire about our Notting Hill Cat sitting and boarding service please email:info@catnips.co.uk with your dates, post code and contact details.